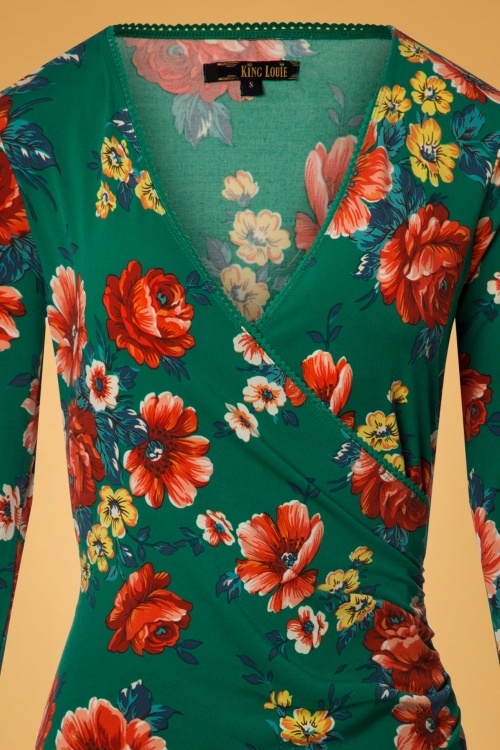 If you're in between sizes and you prefer a tight fit, we recommend ordering down. If you prefer a more loose fit, we recommend ordering up. The fabric is stretchy. Do you want to shine during those colder days? 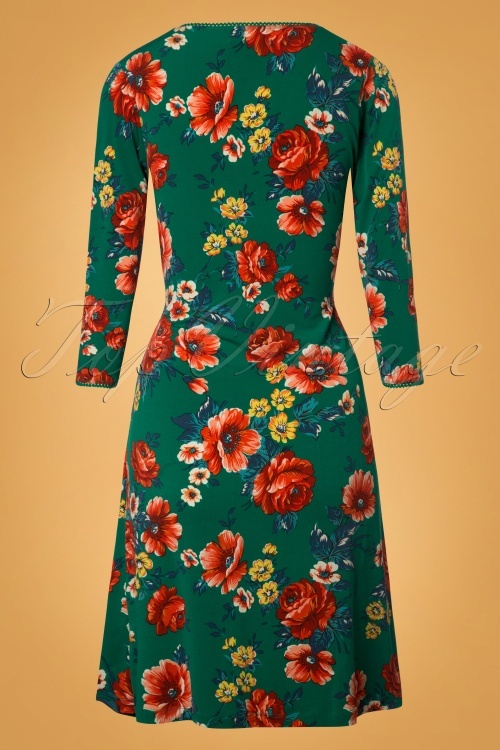 You can with this 60s Melrose Cross Dress in Fern Green! Bloom baby, bloom! 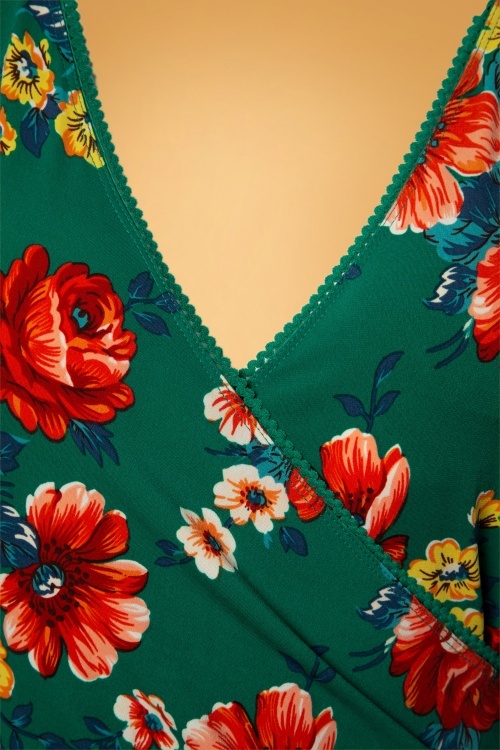 The fitted top features a beautiful wrap neckline that is both suited for a fuller and a more modest cup size, ooh la la. She is super flattering for your figure thanks to the playful A-line and gathered side that will mask any tummy flaws. 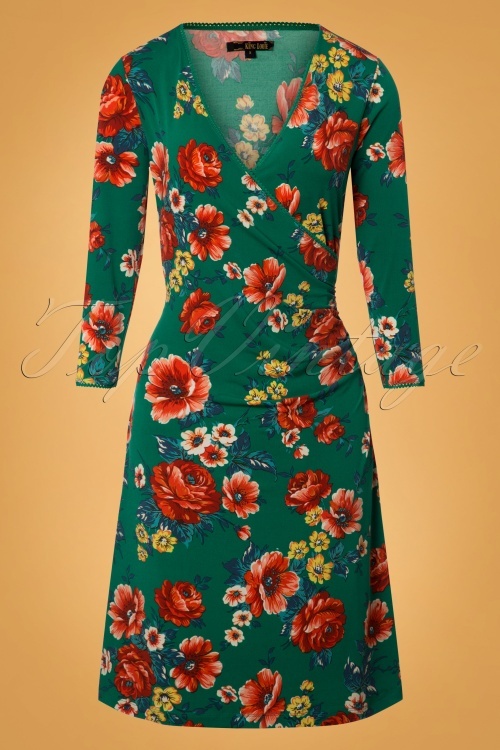 Made of a lovely supple, stretchy, emerald green viscose blend with a stunning floral print and finished off with cute scalloped trims. Party or no party; with Melrose you're sure to shine at every occasion! J'ai attendu que ces robes soient soldées et je me suis fait plaisir. La qualité, les couleurs et les longueurs de ces robes sont justes parfaites!! Pour information, je les ai toutes lavées en machine, lavage rapide et aucun problème à la sortie!